Katie's face and story will make a difference! Katie Starr is the 2011 face of the Foundation Fighting Blindness. Her image and story are on all of their membership materials. This was the letter from me that was enclosed with the membership package. 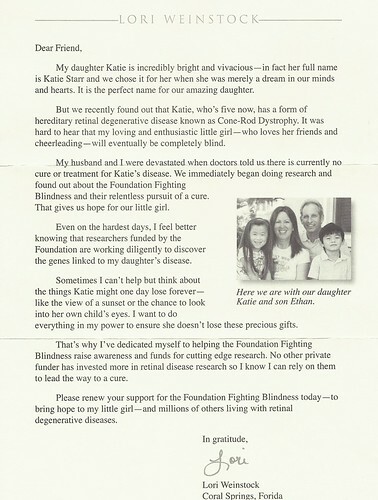 If you would like to become a member of the Foundation Fighting Blindness and make a tax deductible contribution that will help aid the research towards treatment and possibly a cure for hereditary blindness, please go to Katie Starr's link. Every dollar counts....more than you will ever know! 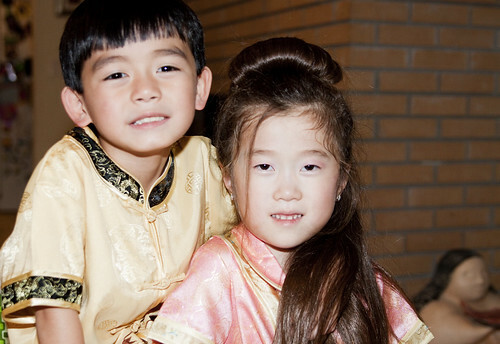 Our DD are very proud to be Chinese American and were thrilled to be able to share their culture with their teachers and school mates today. We are so proud of them. 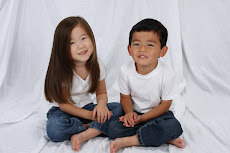 Our family wishes you a Happy Year of the Rabbit....a very very lucky year!